The Real Beauty of Composite Resins: Esthetic, Durable, Profitable is organized by Ultradent Products, Inc. and will be held on May 03, 2019 at Indianapolis, Indiana, United States of America. The target audience for this medical event is Dentist and Team Members. This CE Conference has been approved for a maximum of 7 CE Credits. Conference Objectives: • Improve your cases by integrating bleaching, tissue management, and gingival sculpting • Learn new concepts for placement of anterior and posterior composite resin restorations • Add time saving techniques that also reduce stress, increase profitability, and improve predictability • Expand your knowledge on how to avoid post operative sensitivity Additional details will be posted as soon as they are available. 2019 Weinstein Cardiovascular Development Conference is organized by International Society for Heart Research (ISHR) and will be held from May 09 - 11, 2019 at Crowne Plaza Indianapolis-Dwtn-Union Stn, Indianapolis, Indiana, United States of America. Additional details will be posted as soon as they are available. 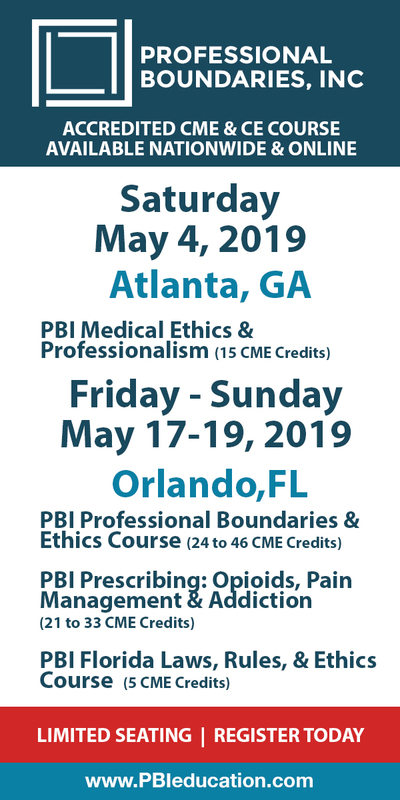 Counseling Grief Clients: Functional Interventions for Everyday Use is organized by PESI HealthCare and will be held on May 24, 2019 at Crowne Plaza Indianapolis-Airport, Indianapolis, Indiana, United States of America. Target Audience • Psychologists • Psychiatrists • Counselors • Marriage and Family Therapists • Social Workers • Pastoral Counselors • Chaplains/Clergy • Psychiatric Nurse Practitioners • Mental Health Nurses • Alcoholism and Drug Abuse Counselors Course Description: Clinicians often struggle to develop an effective approach to counseling grief clients, due to the uniqueness of each individual’s grief. The last 10-15 years have seen an explosion of new research in the field and many new studies have turned what we thought we knew on its head. Explore this new research about appropriate diagnosis of grief clients, ideas for how to assess grief severity and related constructs, and clarification about what is meant by “complicated grief” Review the most commonly used current models for understanding grief and leave with tools, including 20 interventions, to more confidently assist clients in navigating the adaptive, yet confusing and difficult, grief process. The seminar will end with a focus on self-care, discussing how to appropriately manage and care for ourselves in this demanding, yet fulfilling, work. Course Objectives are : • Articulate current models for conceptualizing grief and how these influence treatment planning. • Analyze and differentiate clinical symptoms to diagnose grief clients appropriately. • Implement functional interventions for grief counseling adaptable to use with any clients. • Demonstrate three new interventions to use with bereaved clients. • Determine when grief has become “complicated” and develop an appropriate treatment strategy. • Develop strategies of self-awareness and self-care for grief counselors as it relates to clinical practice. Additional details will be posted as soon as they are available. Changing the ADHD Brain: Moving Beyond Medication is organized by PESI HealthCare and will be held on Jun 06, 2019 at Crowne Plaza Indianapolis-Dwtn-Union Stn, Indianapolis, Indiana, United States of America. Target Audience • Counselors • Social Workers • Psychologists • Marriage and Family Therapists • Speech-Language Pathologists • Teachers • School Administrators • Occupational Therapists • Occupational Therapy Assistants • Nurses • Other Helping Professionals who Work with Children Course Description: Many persons diagnosed with ADHD prefer not to take medication. There are various reasons for this including side effects and concerns with long-term use. In this seminar, you will learn more about these reasons, as well as alternative interventions for ADHD. Looking at ADHD from a developmental perspective, we will consider reasons for the apparent increase in ADHD diagnoses over the past two decades. By understanding the way the brain works in ADHD, you will be able to better identify a variety of strategies to significantly impact the nervous system and positively influence symptoms of ADHD in your clients. Not only will you walk away with information about some of the most common non-medication interventions for ADHD such as computerized cognitive training, mindfulness meditation and neurofeedback, you will also learn a variety of practical strategies that can be implemented immediately and at low cost. We will navigate the vast research on exercise, movement, diet, sleep, disruptive technologies, supplements and the impact of the environment on ADHD, summarizing the findings and applying the information to “real life”. You will leave this seminar with the tools and knowledge to develop a holistic approach to working with adults and children with ADHD. Course Objectives: • Articulate the relationship between the frontal lobe of the brain and ADHD symptomology for the purpose of client psychoeducation. • Determine the impact of movement and exercise on the reduction of ADHD symptoms as it relates to assessment and treatment planning. • Implement treatment interventions for improving impulse control and working memory in clients. • Analyze the influence of diet and nutrition on ADHD symptoms in relation to assessment and treatment planning. • Develop clinical strategies to calm the nervous system of clients diagnosed with ADHD. • Consider the clinical implications of environmental influences on ADHD symptoms in clients. Additional details will be posted as soon as they are available. American Association of Nurse Practitioners (AANP) National Conference is organized by American Association of Nurse Practitioners (AANP) and will be held during Jun 18 - 23, 2019 at Indiana Convention Center, Indianapolis, Indiana, United States Of America. Additional details will be posted as soon as they are available. Indiana Osteopathic Association (IOA) Annual Summer Update is organized by Indiana Osteopathic Association (IOA) and will be held from Aug 02 - 03, 2019 at College Of Osteopathic Medicine, Indianapolis, Indiana, United States of America. Additional details will be posted as soon as they are available. 2019 September Basic Compliance Academy is organized by Health Care Compliance Association (HCCA) and will be held from Sep 09 - 12, 2019 at Omni Severin Hotel, Indianapolis, Indiana, United States of America. Who should attend? • Compliance officers • Internal auditors • Data privacy personnel • Regulatory compliance specialists • In-house or external compliance lawyers. Description: HCCA's Basic Compliance Academy is a three-and-a-half-day intensive training program focusing on subject areas at the heart of health care compliance practice. Its faculty is made up of experts in the field. Courses are designed for participants who have a basic knowledge of compliance concepts and some professional experience in a compliance function. Attendees gain comprehensive knowledge of the following: • Policies, Procedures and Infrastructure • Compliance Oversight and Infrastructure • Standards, Policies, and Procedures • Risk assessment & Internal Controls • Education and Training • Routine Auditing and Monitoring • Stark and Anti-Kickback • HIPAA Privacy and Security • Enterprise-Wide Billing & Reimbursement Accreditation : AAPC: This program has the prior approval of the AAPC for 24.0 continuing education hours. AHIMA: This program has been approved for a total of 24.0 continuing education unit(s) (CEUs). ACHE: The Health Care Compliance Association is authorized to award 29.0 clock hours of pre-approved ACHE Qualified Education credit for this program toward advancement, or recertification, in the American College of Healthcare Executives. Compliance Certification Board (CCB)®: CCB has awarded a maximum of 29.1 CEUs for these certifications: Certified in Healthcare Compliance (CHC)®, Certified in Healthcare Compliance– Fellow (CHC-F)®, Certified in Healthcare Privacy Compliance (CHPC®), Certified in Healthcare Research Compliance (CHRC)®, Certified Compliance & Ethics Professional (CCEP)®, Certified Compliance & Ethics Professional–Fellow (CCEP-F)®, Certified Compliance & Ethics Professional–International (CCEP-I)®. Continuing Legal Education (CLE): An approximate maximum of 24.25 clock hours of CLE credit will be available to attendees of this conference licensed in these states, along with Alabama, Florida, Georgia, Illinois, Ohio, and Rhode Island. NASBA/CPE: A recommended maximum of 29.0 credits based on a 50-minute hour will be granted for this activity. Nursing Credit: The Health Care Compliance Association is preapproved by the California Board of Registered Nursing, Provider Number CEP 14593, for a maximum of 29.1 contact hour(s). Additional details will be posted as soon as they are available. AAFP Family Medicine Board Review Express is organized by American Academy of Family Physicians (AAFP) and will be held during Sep 11 - 14, 2019 at Marriott Indianapolis, Indianapolis, Indiana, United States of America. Additional details will be posted as soon as they are available. Sleep Medicine Essentials is organized by American Academy of Sleep Medicine (AASM) and will be held from Sep 13 - 15, 2019 at Hyatt Regency Indianapolis, Indianapolis, Indiana, United States of America. Description: This course provides a balance of board review preparation and general sleep knowledge review. Those looking to prepare for upcoming exams will benefit from review sessions that mirror exam blueprint topics. 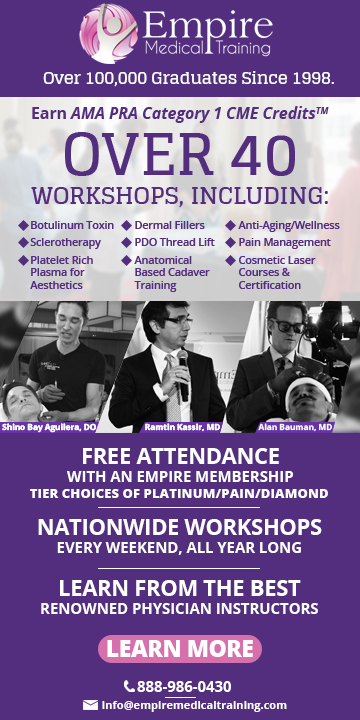 Attendees wanting to stay apprised of the latest in sleep medicine care will benefit from topics that pe deeply into specific areas of sleep. Who Should Attend? • Physicians • Residents • Fellows • Facility Members • Those taking the recertification exam • Anyone looking to learn the latest in the field of sleep medicine Intensive Scoring Review Add-On Course: Half-day session on September 12, 2019 Additional details will be posted as soon as they are available. 2019 Indianapolis Regional Conference is organized by Health Care Compliance Association (HCCA) and will be held on Sep 27, 2019 at Indianapolis, Indiana, United States of America. Who should attend • Compliance officers • In house and outside general counsel • Privacy and security officers • Regulatory affairs • VPs and directors • Government agency staff Course Description : This one-day Regional Compliance Conferences provide attendees with a forum to interact with local compliance professionals, share information about your compliance successes and challenges, and create educational opportunities for compliance professionals to strengthen the industry. Regional Conferences offer professionals convenient, local compliance training, updates on the latest news in regulatory requirement, compliance enforcement, and strategies to develop effective compliance programs. Attendees also enjoy networking with industry peers. Additional details will be posted as soon as they are available.